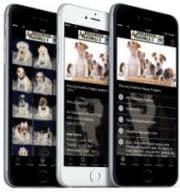 Ridgewood recommends that when you’re looking at Jack Russell Mixed puppies for sale, you research the other breed or breeds in the puppy. It’s also good to ask other owners of their experiences of owning that mixed breed. Parents’ breeds can have an impact on the personality of the puppy, however, be sure to keep an open mind and not totally close out the idea of a certain Jack Russell mixed puppy just because it is 1/2 or a 1/4 of a breed that you never thought you’d own. A large part of puppy’s personality is based on you, since you are training and molding the puppy as you want it to be! The staff at Ridgewood Puppies is more than willing to go over all the information on Jack mixes with you. 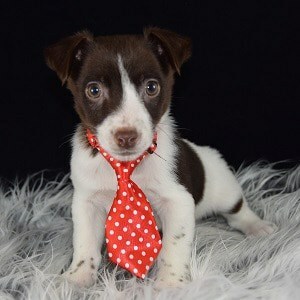 Since we know the ins and outs of a Jack mixes personality, we can help you determine if a Jack Russell mixed puppy for sale is the right fit for you or not. Jack Mixes have made a great additions to many families over the years, so we look forward to helping you find yours! 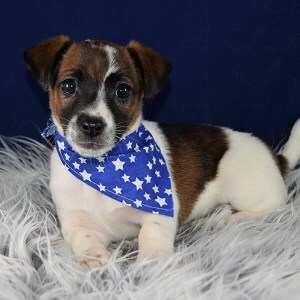 Ridgewood Kennels has been placing Jack Russell mixed puppies for sale in PA, NY, NJ, DE, MD, RI, and farther for more than 40 years! All of Ridgewood’s Jack Russell mixed puppies for sale go home with a written LIFETIME warranty as well as their puppy shots completed. 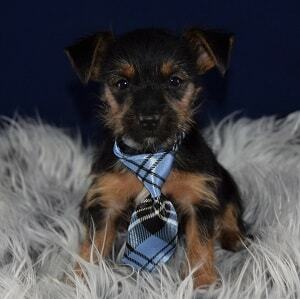 See some of Ridgewood Kennels Jack Russell Mixed puppies for sale below! We’ve been placing Jack Russell mixes for several decades now, so we’re very familiar with these mixes! Ridgewood’s Jack mixed puppies are first generation and go home with our lifetime warranty and also their shots completed! They are a fun, silly breed and have brought so much joy to many families. Contact us to see if they might be the right fit for you! Thanks so much for everything. Brody is absolutely adorable. We had a wonderful weekend with him. He is very playful, loving and smart! Can’t wait to get off work and go home to see and play with him! We took lots of pictures and will make sure that we send you some!